Members of the National Peace Committee last night met with the presidential candidate of the PDP, Atiku Abubakar, over the outcome of the just concluded presidential election. 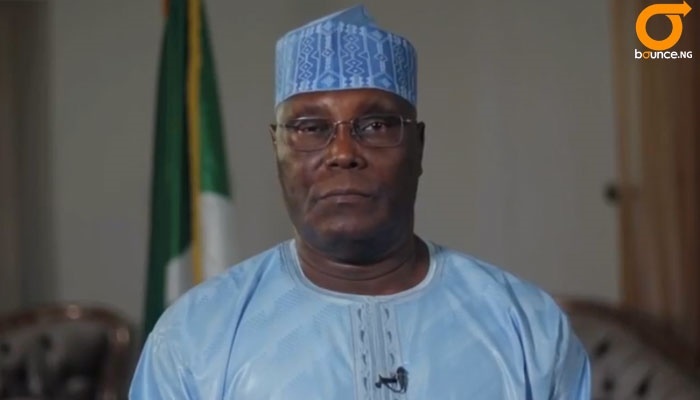 Atiku had rejected the outcome of the February 23 presidential election, calling the declaration of President Muhammadu Buhari as the winner as “a stolen mandate.” He also vowed to challenge the outcome in court. But members of the peace panel, led by its chairman, Gen Abdulsalami Abubakar, a former head of state, said it met with Atiku to hear his grievances on the polls and to douse tension in the country. Other members of the panel at the meeting were the Bishop of Sokoto Arch Diocese Mathew ‎Hassan Kukah and the Archbishop of Abuja, John Cardinal Onaiyekan, among others. Speaking General Abdulsalami Abubakar said, “The peace committee is always interested in ensuring that there is peace in the country. Currently, tensions are high, and we need to see how we can douse the situation. Abdulsalami also said his panel would meet with President Muhammadu Buhari as part of efforts to maintain peace as a result of the presidential election. Daily Trust learnt the meeting with the president will be today. It is not clear what Atiku told the committee as his Media Office could not speak on the matter when contacted by our correspondent last night. ‎The meeting, which held at the Abuja residence of Atiku, had in attendance the PDP vice presidential candidate, Peter Obi, Senate President Bukola Saraki and Speaker Yakubu Dogara. The National Peace Committee ‎played a significant role in the build up to the 2015 general elections, and prevailed on former President Goodluck Jonathan to accept defeat even before the official declaration of the results. Also, the peace panel made all the 73 presidential candidates to sign a peace accord twice in Abuja for peaceful elections.